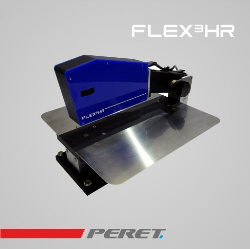 The FLEX³HR is the high resolution flexo plate analyzer that can analyzer micro structures on film, LAMS, and plate with a resolution of approx. 43'000 DPI. The FLEX³HR is the ideal tool to control the new surface structure technologies in flexo aimed to increase the print quality. What is the best Pixel+ boost setting? Is your image setter producing the identical output over time? Use the FLEX³HR to measure the real surface images.